The author spoke with Shelagh Rogers about novel Sodom Road Exit. 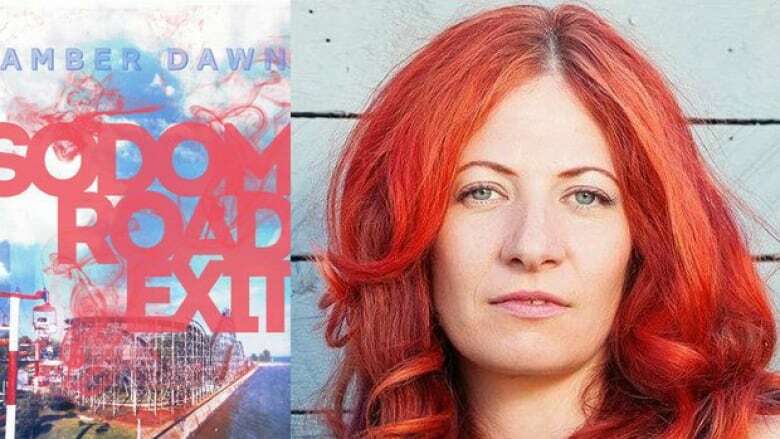 Originally from Ontario, Vancouver-based writer Amber Dawn goes back to her hometown of Crystal Beach, Ont. as the setting for her novel Sodom Road Exit. The book blends elements of family drama, abuse and the supernatural to tell the tale of debt-ridden Starla Mia Martin, who moves back to her hometown to live with her mother and is possessed by the ghost of a woman who died in the town's now decrepit amusement park. "If you're driving on the QEW highway from Toronto to Buffalo, you would see a large sign that reads 'Sodom Road' exit and an arrow that says to Crystal Beach where I'm from. When I was younger there was a bit of a snicker and some jokes about that particular name for a town. "But then as I left Crystal Beach and made a life for myself in Vancouver, it sort of took on an ironic and nostalgic quality to it, especially after I came out as queer. I thought, 'Of course I grew up in a town where the major road is Sodom Road.' I kept returning to it — and then once I was really thick in writing this novel, I knew that Sodom Road Exit it would indeed be the title." "Can you think of a worse possibility for a 23-year-old who really wants to live a big city life than to have to live with their mother? The main character wants to come out. She wants to enjoy art and literature and culture and cinema. Instead of this dream that she's built for herself, she's returned right back to the very place that she worked so hard to get away from. It's the worst possibility." "I needed to make an horrific, terrible possibility for her so that the ghost story could live as sort of a simultaneous tragedy. So there is the haunting and there's also sort of the grim reality of Starla's debt. She's also grappling with some recovered memories of childhood sexual abuse and she's struggling with her queer identity. So there's a lot going on for her. I really wanted to layer the conflicts on Starla throughout this book and give her sort of a multi-dimensional journey that she needed to go on." Amber Dawn's comments have been edited for length and clarity.